Prime Minister Justin Trudeau's American charm offensive enters its next phase this week with a prime speaking spot at a national conference of U.S. governors, only weeks before renewed NAFTA talks with the Trump administration. As part of a continuing effort to make the case for free trade in a country that is drifting toward economic isolation, the prime minister will try to court allies among the governors in the event NAFTA renegotiation talks go sour. 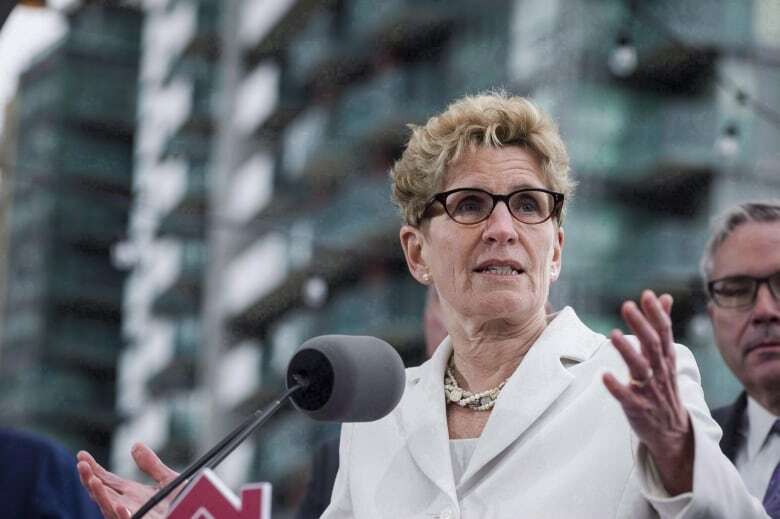 The National Governors Association, which puts on the event twice a year, said a Canadian prime minister has never before addressed their gathering — which is expected to draw some 40 governors to Providence, R.I., this week. Trudeau will deliver a speech and participate in a question and answer session alongside Ontario Premier Kathleen Wynne on Friday. A government insider insists the visit — and subsequent bilateral meetings with state leaders — should not be read as an attempt to work around the volatile U.S. president and his administration. 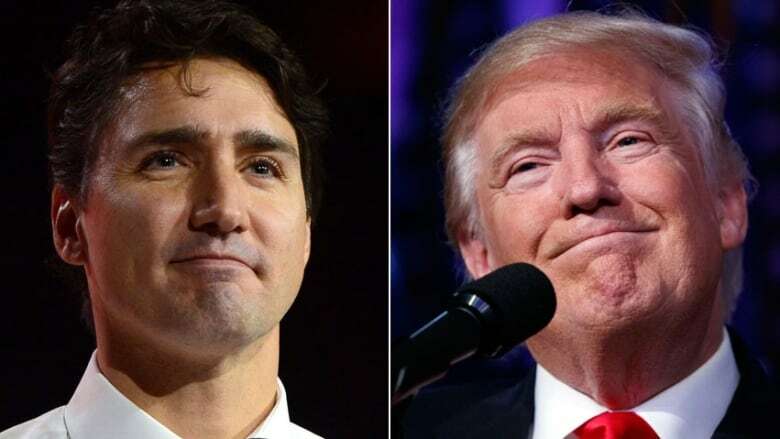 U.S. media have sought to portray the two men as polar opposites, with headlines like "Canada's Trump Strategy: Go Around Him," appearing on recent U.S. stories about the relations. "I want to emphasize that's simply not true," a Prime Minister's Office spokesperson said, speaking on background to CBC News. "There is absolutely no evidence that we're somehow avoiding President Trump. And we are not, in any way, trying to reduce direct contact with, or circumvent, the White House." Rather, the trip is simply part of a multi-front approach to head off potential damage to the Canadian economy should the rhetoric of "America First" and "Buy America" become something more concrete. "We are just trying to simultaneously engage with governors, with the states, with all levels of government … and remind them just how many jobs in those states are dependent on trade with Canada." Moreover, Trudeau is scheduled to have a bilateral meeting with Vice-President Mike Pence, who will also introduce the Liberal leader before he takes the stage for his address Friday. Trump himself was scheduled to attend before he accepted a last-minute invitation from the French president to partake in Bastille Day festivities. Paul Frazer, a top Canadian lobbyist in Washington, and a former diplomat, said Trudeau's outreach is part of an education campaign of sorts to remind American regional leaders that Canada is their most significant trading partner. Many governors in the audience in Rhode Island will not be the natural allies of a progressive leader like Trudeau. Conservative Republicans have been on the ascendancy in recent years, capturing governors' mansions across the land. Even in relatively liberal states like Vermont and Massachusetts, Republican leaders are in control. And some owe their electoral success to Trump and his message of economic populism. "It's a huge opportunity for the prime minister," Frazer said of the speech. "It's trite, but in the U.S. all politics are local, and nobody appreciates that better than governors. They don't often have a chance to take a look at the bigger world in terms of trade, and the economic relationship with Canada," he said. Frazer said he's constantly surprised by just how little some top level Americans know about their economic ties with Canada, which is the top trading partner of 35 U.S. states. Millions of jobs on both sides of the border are wholly dependent on trade. "The more these people, and people like them, understand the relationship, the better they will be in influencing the outcomes of [trade] discussions or negotiations," he said in an interview. "The governors have a role to play in the overall economic posturing … and I don't want governors to stick up for Canada, my sense is that governors need to be so well-informed and stick up for their own economic interests vis-a-vis Canada [if NAFTA talks are to go well]." Frazer said Trudeau should also take the chance to remind Pence just how important Canada is to his home state of Indiana, where 190,000 jobs are dependent on positive trading relationships between the two countries, he said. Canada is by far Indiana's largest trading partner. "The relationship is mutually beneficial; it's a win-win if we continue to make it better," Frazer said. Canadians should not fret in the face of NAFTA talks, he said. "I'm not sure Canadians understand that there is considerable bench strength [among trade negotiators]. This isn't their first rodeo, this isn't our first trade deal."